When a child has a behavioral problem or a learning disability, a parent may feel stuck. Dr. Dawn Brown interviews Dr. Jarret Patton, pediatrician, for his perspective on how to get unstuck. Learn where to start and what questions to ask when you suspect ADHD. Find out what to do when conflicting recommendations arise from the primary care doctor and the psychiatrist. Learn how to improve communication between a child’s providers. 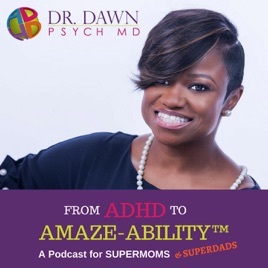 Get insight on how parents can help their child reach Amaze-Ability™.